The runaway M&A train is barreling into its third year. Global merger volume in 2015 shattered the $4.1 trillion annual record set in 2007. As measured against worldwide GDP, the rate nearly doubled to more than 6 percent in just two years. To understand why this level of activity could stay on track for a while longer, look at North America’s railroad mega-deal. Canadian Pacific in mid-November disclosed a $28 billion offer to buy U.S. peer Norfolk Southern. The Calgary-based railway operator is grappling with low growth. Its revenue is projected to increase by just 2.4 percent in 2015 compared to almost 8 percent for each of the last two years. It’s not alone: S&P 500 Index constituents suffered a collective third-quarter sales drop of 3.9 percent, according to FactSet. That stark reality will be a motivating force for mergers. 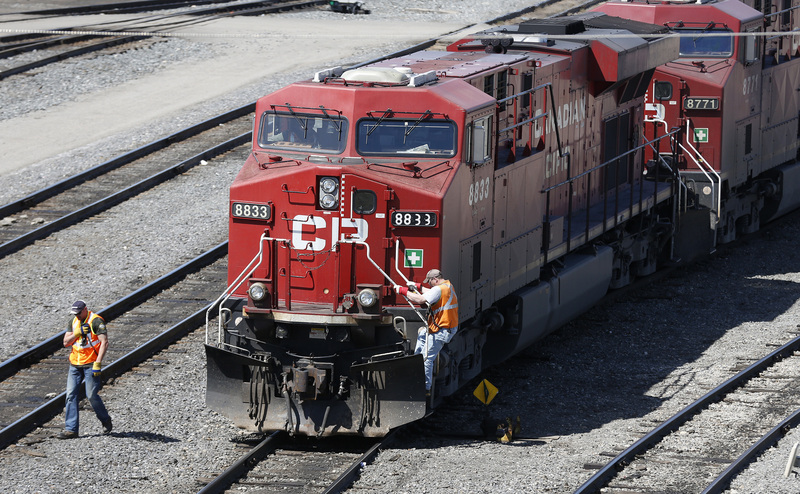 The shareholder roster at Canadian Pacific offers more insight. Its biggest investor was hedge fund billionaire Bill Ackman’s Pershing Square. He originally unveiled a stake in late 2011 when the company’s stock was trading at about $60. It more than tripled in three years before sinking back to around $130. Activist investors like Ackman have doubled their funds to some $130 billion in two years and piled into nearly every industry. Their pushiness will drive plenty more deals like Canadian Pacific’s. Further consider the nature of the rail bid. It involves a Canadian company stalking an American one. Cross-border transactions tend to pick up as merger momentum gathers steam. About 44 percent of deal volume in 2007 included a buyer and seller from different countries, according to Thomson Reuters data. In 2015, it was about a third, suggesting there may be capacity for more. Similarly, Canadian Pacific’s offer was unsolicited. Such aggressive approaches, including ones eventually withdrawn, accounted for 15 percent of M&A in 2007 compared with about 14 percent in 2015. Lofty valuations could make targets more demanding and eager suitors increasingly frustrated. Finally, the rail tie-up is messy. That tends to be a hallmark of deals near the end of an M&A boom. Merger partners become harder to find, testing competition limits or leading to mission drift. Norfolk Southern rejected its rival’s overtures on Dec. 4 in part because it suspected the combination wouldn’t be approved by regulators. Don’t expect that to stop many other buyers just like Canadian Pacific from trying. Railway operator Norfolk Southern on Dec. 4 rejected rival Canadian Pacific’s unsolicited takeover bid, which valued the company at about $28 billion. The Norfolk, Virginia-based company said it thought it could generate greater shareholder returns from its own strategy than the price on offer. Canadian Pacific said it would pay $46.72 in cash and 0.348 of its own shares for each Norfolk Southern share. James Squires, Norfolk Southern’s chief executive, also said he thought the Surface Transportation Board would reject the proposed combination on regulatory grounds.